Hey my gorgeous preeners hope you are all well. 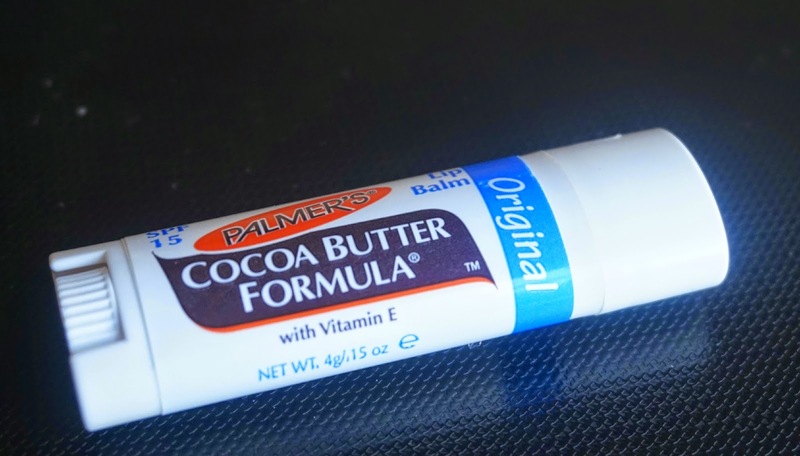 Today I have just a little review for you all on the Palmer’s Cocoa Butter Formula Lip Balm. I normally wouldn’t be bothered with very dry lips and just use the Elizabeth Arden Eight Hour Cream off an on, but lately my lips have been so dry they have cracked a couple of times. I adore the eight hour cream but it is so expensive so I was on the hunt for something to use in between times. I spied this lip balm in Sainsburys a couple weeks ago and at £2 I didn’t think I would love it, but wow was I wrong! This is so hydrating and doesn’t leave your lips greasy. It has Vitamin E in it to sooth lips also which I have been loving. I have just bought a second in Asda for just under £2 and I am keeping it in the fridge to keep cool on my lips. I have been using this every day then a Lush lip scrub twice and week and the eight hour cream twice a week and I am starting to see a real improvement in my lips. If you follow me on twitter or facebook you will see I have been raving about this product!! I will definitely be stocking up and throwing a few in bags and drawers! I haven't tried yet, but I know Cocoa has some really good stuff.